Has the NFL Finally Met Its Match? The NFL’s insurers are not happy. Concussions are eventually going to cost someone a lot of money and it’s now a question of who’s going to be on the hook for the bill. 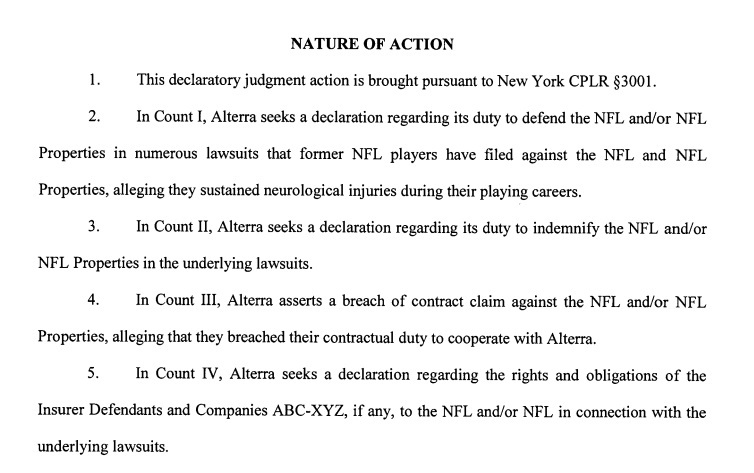 NFL insurer, Alterra, first brought suit against the league in August 2012, as former individual players began suing for latent injury against the NFL in regard to the hidden and misrepresented danger of concussions. At first all the NFL’s insurers appeared to want was a bit of cooperation and an exchange of information, which seems reasonable if they’re expected to pay the claims. The NFL was not forthcoming, so the insurers pushed back. 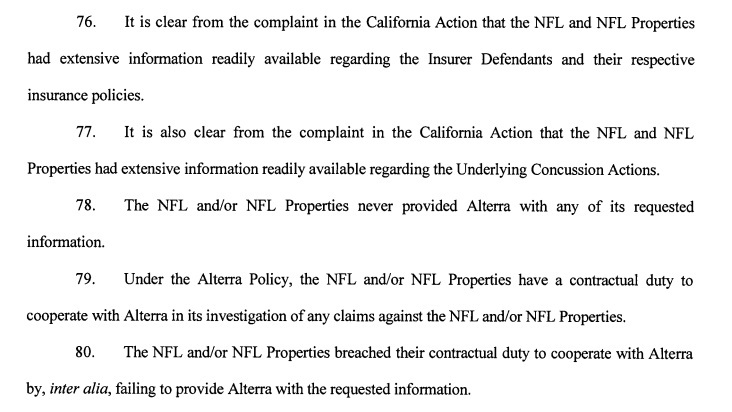 The insurer went on to state, “Alterra has been appreciably prejudiced” by the NFL breaches. In attempt to shorten a long story, the former player suits were consolidated into multi-district litigation and brought before Eastern District of Pennsylvania Judge Anita Brody, who granted approval on a class action settlement of around $1 billion on May 8, 2015. While settling, the NFL admitted no guilt or responsibility for the players’ latent injuries, nor were they forced to engage in extensive discovery. The class settlement has been controversial primarily because it doesn’t provide for CTE, which currently can only be definitively diagnosed after death. A number of former players opted out of the settlement and appealed. The settlement was affirmed by the Third Circuit Court of Appeals on April 18, 2016. The objectors then sought an en banc hearing which was denied, which prompted them to request Supreme Court review of the case. The Supreme Court declined. 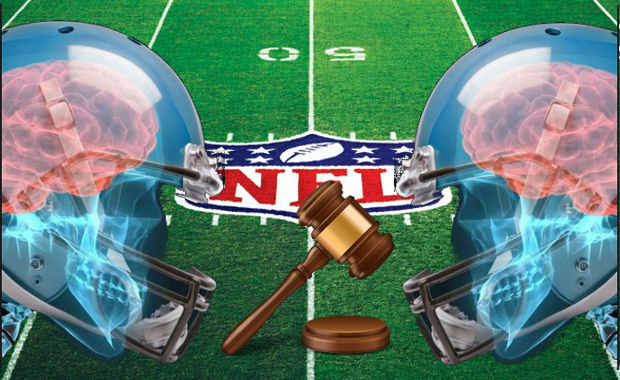 Throughout this time, by way of the NFL’s adept legal maneuvering, the insurers’ lawsuit was placed on hold pending the outcome of the class action concussion settlement, citing claims that discovery here, would compromise them in that case. Fifty depositions per side will be allowed. 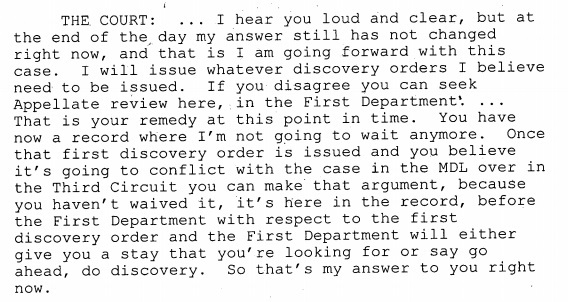 It seems, at least for the time being that the NFL will no longer be able to evade discovery; what remains to be seen is if they will attempt to again settle, as they did in the concussion litigation to avoid it. If discovery does proceed as scheduled, the NFL will be required to provide concussion documents to the insurers by March 3rd. Don’t expect any quick press releases though. In all likelihood the NFL will be successful in keeping the documents sealed as to deny availability in ongoing concussion opt-out litigation (not to mention a very interested public.) As the court process winds down, it is possible that we will finally get a glimpse of a bit of what the NFL has held back. Previously sealed emails are now being released in a concussion suit against the NHL. NFL revenues exceed the GDP of over fifty countries, so they’re apparently not used to backing down. This time they’ve taken on another Titan and I’m not talking about a player from Tennessee. Often court battles are contests of attrition; wars in which one party can afford to keep the litigation going until the opponent no longer has the means or will to stay in the fight. This will not be the case here; the combatants are evenly matched. Has the NFL finally met its match? We do indeed live in interesting times.